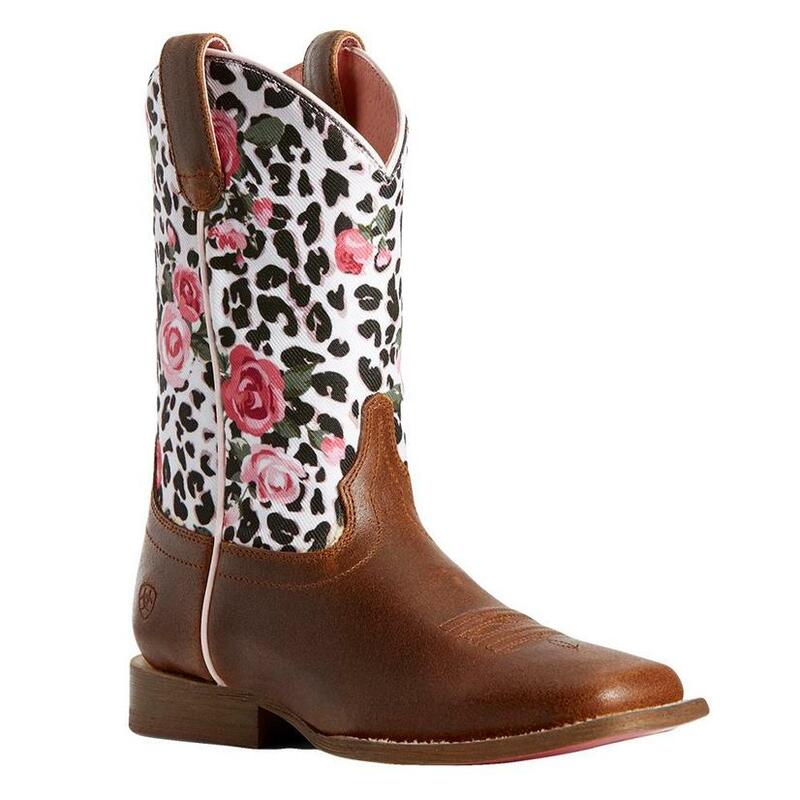 When your riding, ride bodly! 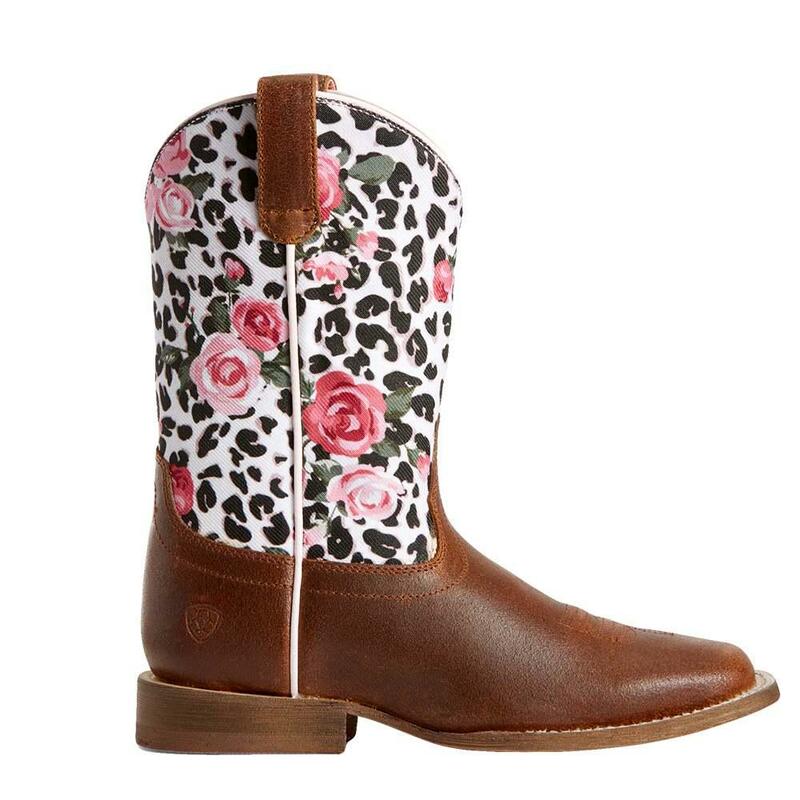 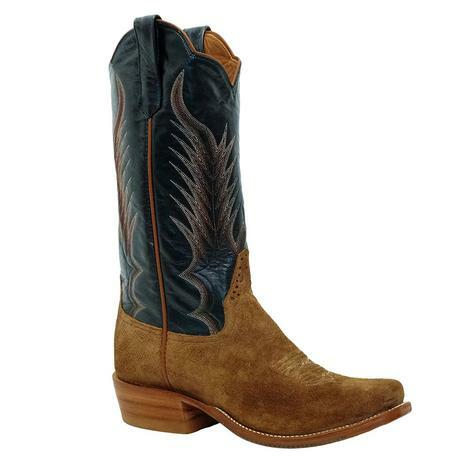 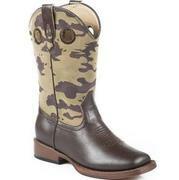 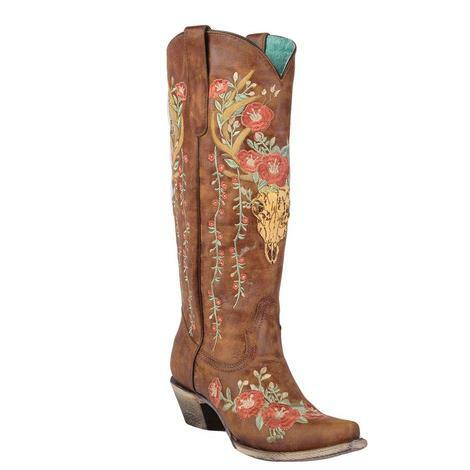 Professional-quality Western riding boots Featuring a colorful, fabric-printed floral shaft hinted with leopard print. 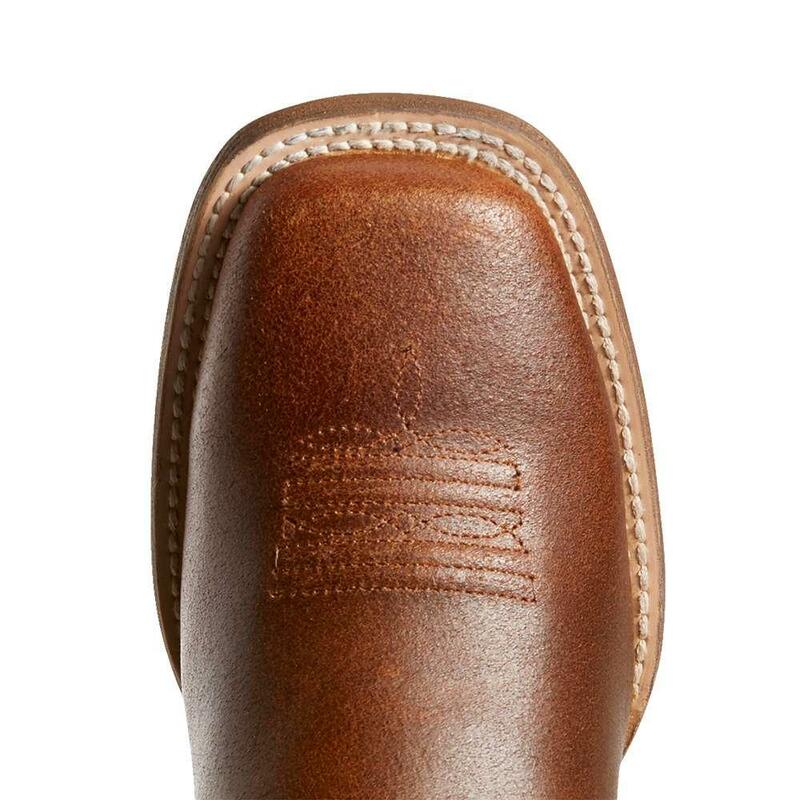 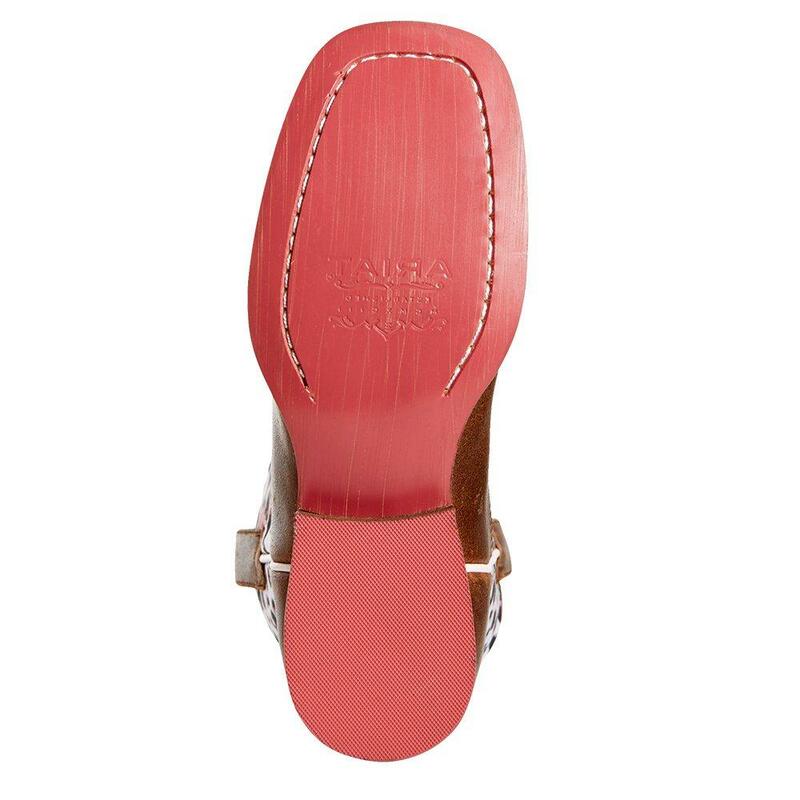 An innovative, removable footbed makes longer wear a possibility as your child grows.